128 mins. Rated PG-13 for some language. Now we get to the biggie. 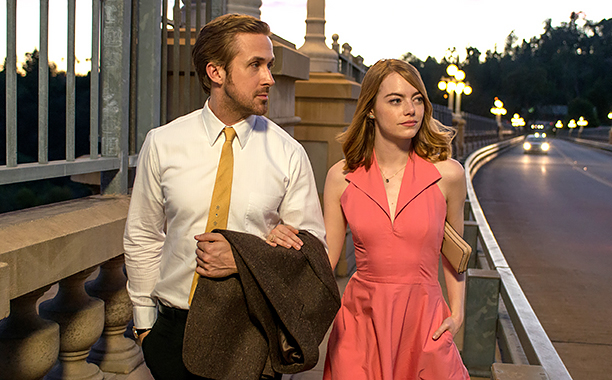 La La Land matched the record at this year’s Oscar nomination celebration with 14 nominations. Now, it technically could only win 13 because of its double nomination for Original Song, but all the same, it looks to be a possible sweep of many awards on the upcoming awards night. Sebastian (Ryan Gosling, Drive, The Nice Guys) is a jazz musician looking to start his own club when he meets Mia (Emma Stone, The Help, Aloha), an aspiring actress currently shuffling coffee on a set while searching out her big break. The two are initially at odds, but their friendship soon blooms into romance as they discover a passion for the art within each other, but they soon find that the path of the artist is a narrow one and there isn’t always space for two to walk it together in the newest film from writer/director Damien Chazelle (Whiplash, Guy and Madeline on a Park Bench). 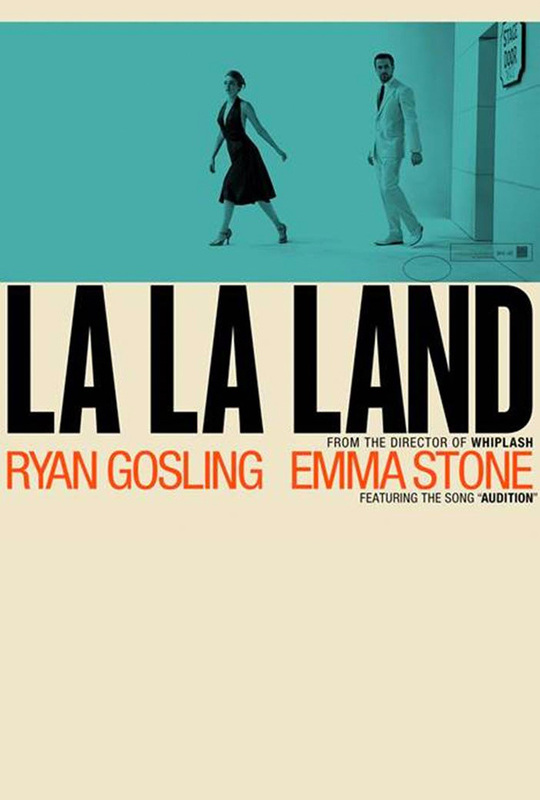 La La Land is a film that takes everything learned from Whiplash and uses it to push the boundaries of filmmaking, and Chazelle is an amazing artist who has crafted a modern musical masterpiece. The film also displays a common theme in Chazelle’s work, a dour but realistic representation of the costs to being an artist. It is a prevalent theme in Whiplash and only further pushes in La La Land. Gosling and Stone have terrific chemistry, having worked previously together in Crazy Stupid Love and Gangster Squad. These two are destined to be one of the great romantic duos of our age. Their performances together are brilliant. Gosling also gives great work with John Legend (Soul Men, Loverboy) who appears in the film as colleague Keith. Gosling learned piano for the film while Legend learned guitar. The difference here from, let’s say, Fences, is that La La Land is focused on the relationship but has the style to elevate the film to another level, whereas Fences only focuses on the relationship. Chazelle’s direction is almost another character, aided by top-notch cinematography, set design, and film editing. 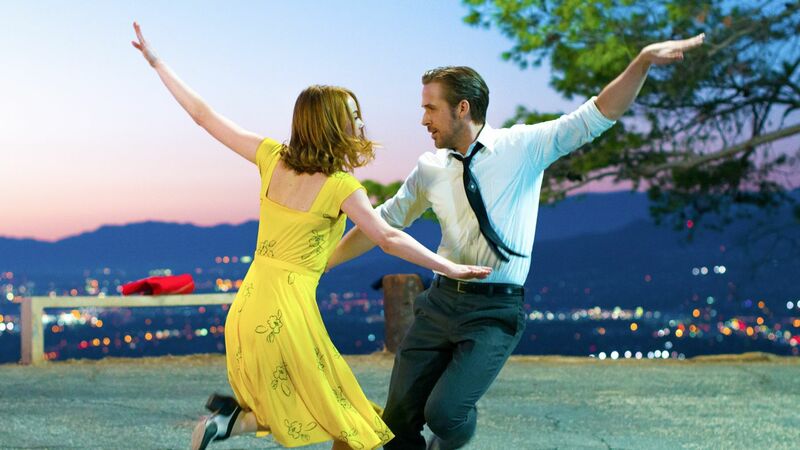 Chazelle also takes the risky route with his finale, presenting a unique and interesting twist on this love story that may not win everyone over, but I love how it presents an ending that felt authentic but also hit on everything my inner romantic wanted from this film. The ending has its roots in the musical community and is nothing we haven’t seen before, but it just works so damn well here. Lastly, I need to touch on the music, particularly “Audition (The Fools Who Dream” and “City of Stars,” both songs very worthy of their nominations. While I loved the opening number, it doesn’t have the emotional hit that these two songs have. I personally have my vote down for “Audition” but I wouldn’t mind a win for either. La La Land is going to take the awards this year, but I’m not certain about Best Picture just yet. Even so, it is a powerhouse film destined to be a classic for years to come. Even if you don’t love musicals, give it a try. So have you seen La La Land? What did you think? What was your favorite number? Let me know/Drop a comment below! For my review of Damien Chazelle’s Whiplash, click here. I really like City of Stars as well but Audition is the one I want most to win too. It’s the major turning point and really sums up the whole story and Emma’s vocals are amazing in it.